Approaching c. 2000sq ft plus DOUBLE GARAGE is this substantial and newly built FIVE BEDROOM DETATCHED family home arrange over three floors. Built by local house builder Neon Homes the property comprises ENTRANCE HALL, 22ft Living room, OPEN PLAN Kitchen/ Dining room, UTILITY,. STUDY and WC. The first floor offers master bedroom with EN-SUITE, two further bedrooms and family four piece bathroom. 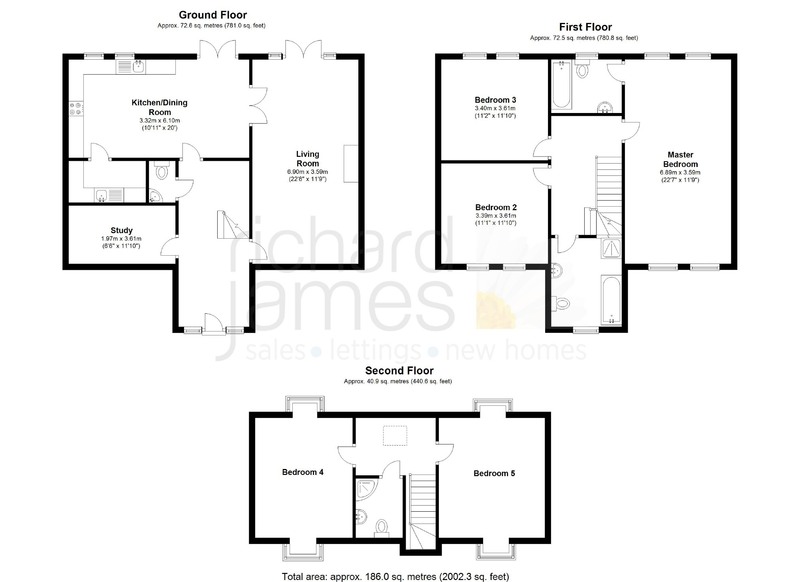 The second floor comprises two further bedrooms and shower room. Outside are ENCLOSED gardens, DOUBLE GARAGE and driveway parking.